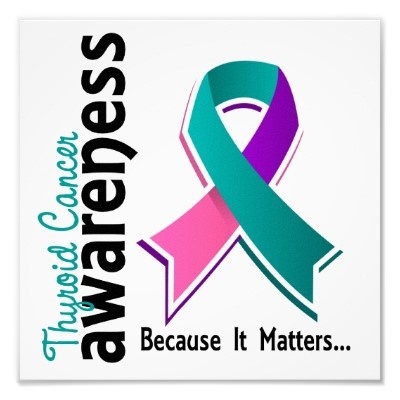 Thyroid cancer is not a death sentence, but it is a life sentence. The reason medical professionals and people who have googled thyroid cancer call it the “good” or “easy” cancer to have, is because thyroid cancer has a pretty good prognosis. It’s a pretty great prognosis actually. The cancer grows slowly and if found at a young age, we can essentially “go for a cure” as my surgeon put it. The good news is that I’m young. People say that I look much younger than my age. I hope the same can be said of my cells. We’re going to try and “cure” my thyroid cancer next week by taking my thyroid out completely. I have three lumps on my thyroid, the largest of which was biopsied and found to be malignant. So please imagine a drum-roll as I announce the date of my total thyroidectomy………………………….. I nodded silently. I was in total agreement. Turns out that once you know that an organ or gland needs to be removed, you get overly attached to it. I haven’t gone so far as naming my thyroid but I do look at the lump on my neck at least once a day. Some lumps aren’t visible, but mine is. Especially if I look up. Today, I met the anesthesiologist who will be in the operating room with me. He needed to assess my remaining cough from the bronchitis and ensure there wouldn’t be any complications during surgery. He asked me why I was getting my thyroid removed. I cringed internally while I replied, “Thyroid cancer.” I still can’t get used to saying the words. Now, this doctor had an appropriate response. I could see genuine concern and surprise in his raised eyebrows. We looked at each other across the desk. I know, right? Who would’ve thought. So on September 24th, this thing is literally going to turn into a pain in my neck. Maybe the pain will make it feel real. The pain will symbolize that a part of my body was sick and needed to be taken out so the rest of me could be healthy. I’ve been trying to figure out ways to avoid a thyroidectomy. But, with any other option, I’ll still have to live knowing that this malignancy is in me. So surgery is necessary so I can move on with my life. Although I’m coming to terms with the fact that surgery is necessary, I still don’t want it. I really don’t. 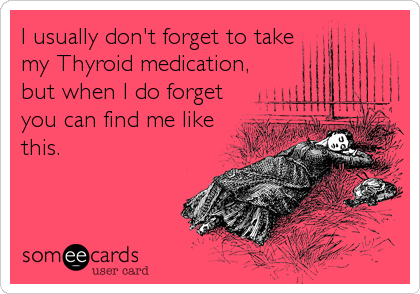 I wish there was some way to keep my thyroid. I wish I didn’t have to get my neck sliced open. I wish I didn’t have to deal with this. But, I don’t have a magic lamp and I don’t get any wishes. So instead, I’ll just hope that next week, the surgeon will find that the cancer has not spread to my lymph nodes. I’ll hope that I won’t bronchospasm during the procedure. And I’ll hope that this surgery really will be my cure. Previous Previous post: The 2 C’s and B of 2014. Next Next post: I Do. (Have Cancer). Nadha, I am deeply saddened to hear of all that you are going through. My prayers and thoughts will be with you and your family. If there is anyone that can battle this, it will definitely be you. Dear Nadha, we are all praying for you, and may Almighty ALLAH the Creator, the Most Beneficent & Merciful take care and cure it for ever. Pls recite As-Ma-Ul-Husna (99 Beautiful names of ALLAH) every day with a firm intention & trust, this has solution for everything. Still praying hard for you, sweet, brave Nadha! This is all so difficult to read without tears welling up, but I understand that it’s even more difficult to experience. My grandma and sister have been dealing with thyroid issues since I was in high school, but I never gave it too much thought. Right after my wedding in 2010, I was also diagnosed with hypothyroidism. It’s obviously not the same thing you are going through, but I want you to remember that time and prayer will make the situation a bit easier to handle. I will be praying even harder for this surgery to be a complete success. Insha Allah it will be your cure, darling. I’m in FULL empathy mode with you in this and know that the pros outweigh the cons. My only concern is for the surgeon to perform it cosmetically perfect – you get my drift?